Includes Prejudging, Finals and Awards for all three weight classes, plus the Fitness Class. Results: Lightweight up to 52Kg: Rachel Duckmanton. Middleweight up to 57Kg: Marie Nourish. Heavyweight over 57Kg: Emma Sue. Fitness Class Winner: Sarah Linton. 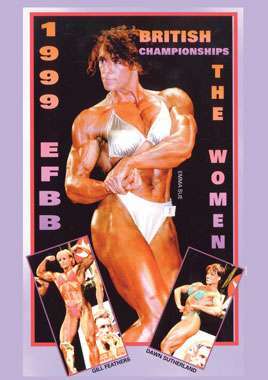 Held in Nottingham England on October 17th, the best British female bodybuilding and fitness competitors competed for their national titles and respective Pro Cards. Includes Prejudging, Finals and Awards for all three weight classes, plus the Fitness Class. Lightweight up to 52Kg: Rachel Duckmanton. Middleweight up to 57Kg: Marie Nourish. Heavyweight over 57Kg: Emma Sue. Fitness Class Winner: Sarah Linton.